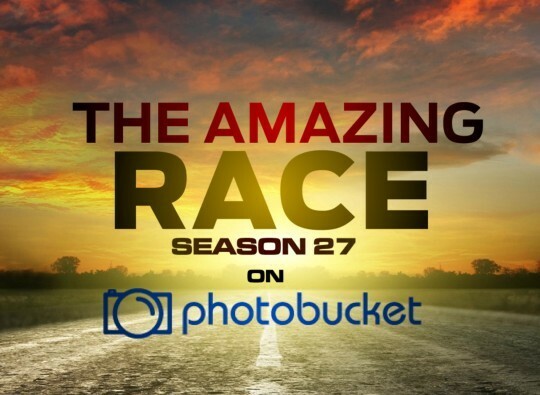 Recap: The Amazing Race 27, Episode 12 – "Don't you know the rules of this Race?" The Final Leg begins with teams all on the same flight to Long Island, New York. Justin lived in New York for 20 years, but Chris & Logan and Joey & Kelsey don’t care. Justin jokes that Joey & Kelsey will finish 2nd with Chris & Logan not even finishing. Joey & Kelsey hope Chris & Logan bicker all Leg and lose. Teams arrive in New York and head to the FDNY Training Facility on Randalls Island. Justin wants to give their taxi driver $100 to wait, but the driver wants more so Justin just gives $50 for their fare over and lets him go. Chris & Logan ask their driver to wait for them and pay in advance. The two teams open the next clue and it reveals the Road Block: Who wants to play with fire? For this Road Block, teams will take part in a training exercise where they will climb into a burning building and find a waiting victim which they must save. They will then have to face a memory challenge after. Justin, Chris and a trailing Joey decide to do the Road Block. FDNY firefighters guide the teams through the smoke and fire-filled rooms and hallways. 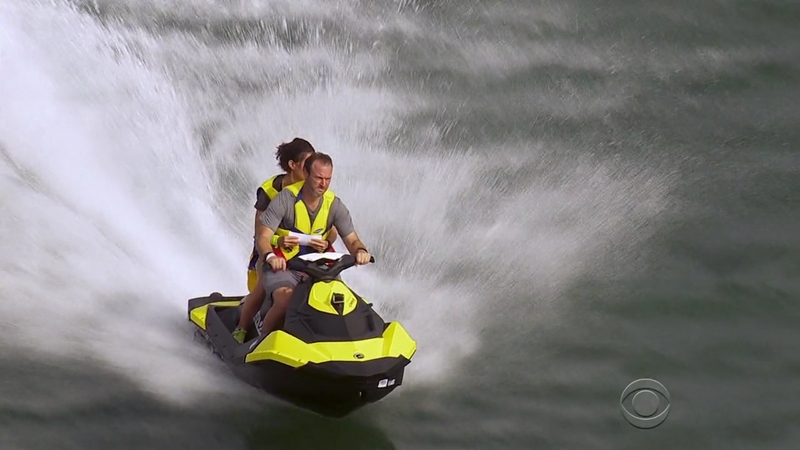 Justin and Chris save their little boys and first drop them onto gurneys. They take off their uniforms and are led to the back of different firetrucks. They must now arrange helmets with the nine capitals of the countries they visited on the Race in order from left to right. Justin finishes first and teams must now head to Belmont Park. Chris and Joey are incorrect with their guesses. Justin & Diana approach the two waiting taxis (belonging to the other teams) to try and take them. But neither wants to. Chris & Logan’s driver decides to go home. Joey finishes the Road Block next and Chris is last. Chris & Logan get to Kelsey & Joey’s taxi and hop in, hoping to take it since there’s nothing in it. But Joey opens the door and asks them what the “f*ck” they think they’re doing. Chris gets out and Logan follows. 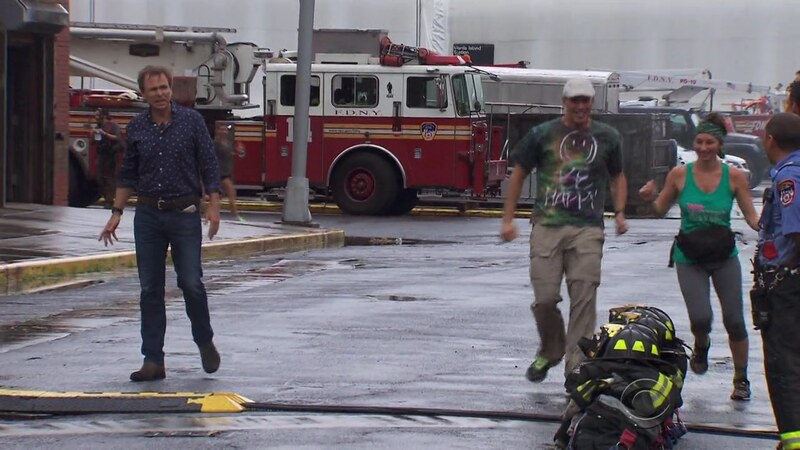 But Logan cannot believe Chris just gave up the taxi. It is within the rules if none of their possessions are in it. 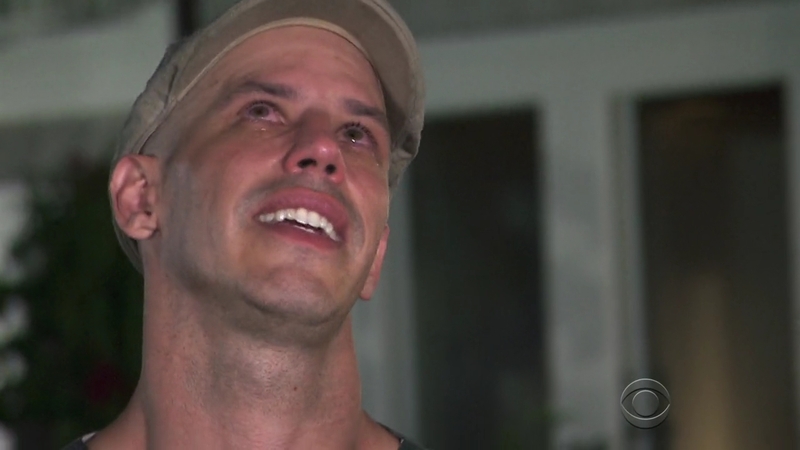 Joey says Chris & Logan were lucky they got out because if they didn’t, he would’ve “ripped their asses” out of it. Justin & Diana and Chris & Logan decide to hop into buses to take them into Manhattan where there are plenty of taxis. Justin and Logan are very upset. Their buses cross paths, unbeknownst to them. But Chris & Logan’s bus is the one that gets off the island first while Justin & Diana’s seems to be circling it. Kelsey & Joey arrive at Belmont Park first and must now hop into one of the helicopters in the middle of the racetrack to take them to The Hamptons. Chris & Logan are next and they are still tense. Chris wants to take his pants and boots off, but Logan says now he’ll have no shoes. He doesn’t care. Justin & Diana know they are in last, but they are hopeful. Kelsey & Joey arrive in The Hamptions and must now run to Shinnecock East County Park and hop on a Sea-Doo to one of the marked lobster boats. Here, teams must help local fishermen pull up seven lobster pots and replace them with new ones. All three teams get started and find this may be the hardest thing evah. Kelsey & Joey are first to finish and are given a box. They must now complete their 2nd memory challenge. 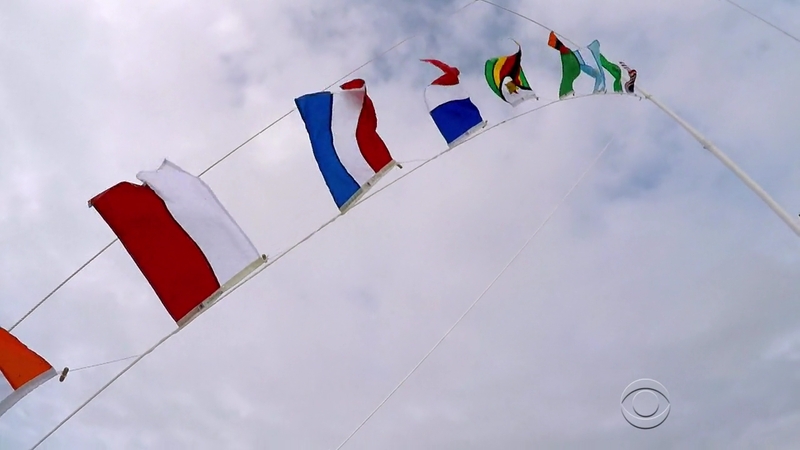 Teams must arrange the flags of the nine countries visited on the Race, in order. Kelsey & Joey say they are big Amazing Race fans, so they studied everything, especially the countries. Chris & Logan, on the other hand, are not sure. All the teams seem to believe Macau is a country. 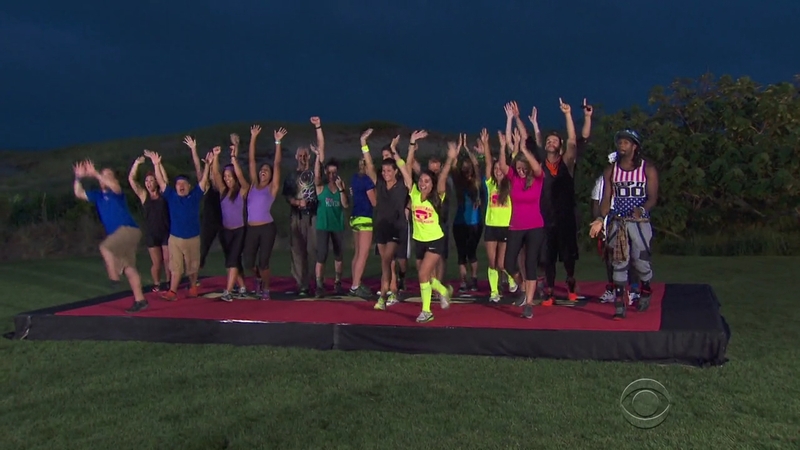 But Kelsey & Joey take off the last, unnecessary flag and they get the thumbs up. 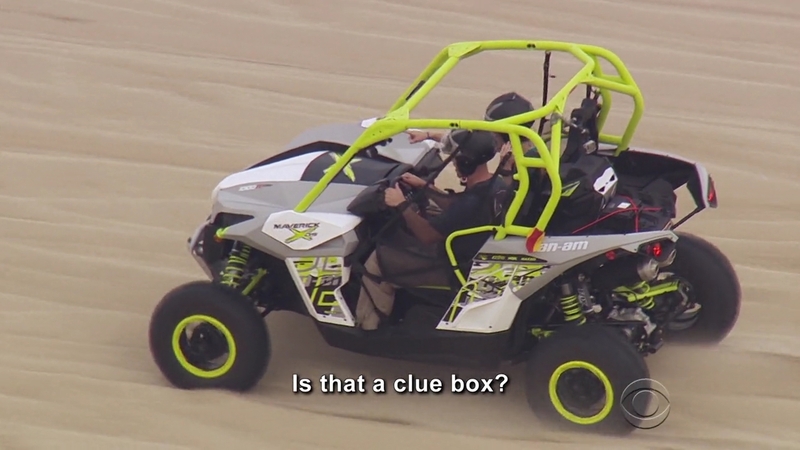 Teams must now return to shore and hop onto dune buggys to their next clue. Justin & Diana get the correct flags and head back to shore as well. They see Chris & Logan and Diana says she’s sure they’re struggling. Kelsey & Joey arrive at the next clue. 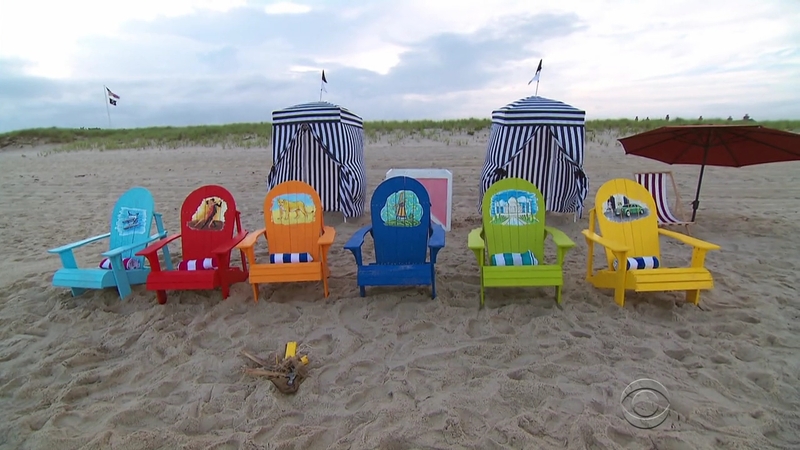 Here, teams will assemble six Adirondack chairs. Each has an image from the Race and teams will need to arrange the images in chronological order. Back on the boat, Logan realizes they’ve had a brain fart. Why did they only have one flag for “Africa” when it isn’t a country and they visited two. They finally get the right flags. Justin & Diana catch up to Kelsey & Joey. 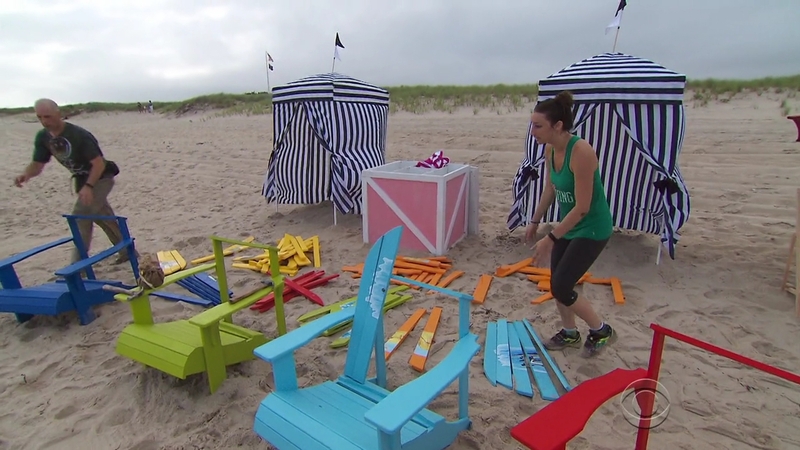 Kelsey & Joey finish assembling their chairs, but they are sloppily done and must be corrected. No problem though. They correct it and are given the last clue. Kelsey & Joey run to the Finish Line just a couple of yards away where Phil officially declares them the winners of The Amazing Race. Joey asks for Ernest’s bling. Justin & Diana are sad, especially knowing they lost because they didn’t pay their cab extra to stay. But the truth is they have to settle for 2nd. Chris & Logan run to the Mat and Phil, thinking it’s still season 26, asks them if they are breaking up. But Chris & Logan say no. They may fight all the time, but they are never at a point where they want to leave each other. Let’s focus on this season first and deal with the trainwreck possibilities of TAR28 in February. First off, season finale and no full opening credits?! Come on now. The opening was very awkward. Of course teams will be forced to get on the same flight to the final destination, but that was a very weird intro to the episode. But at least things got better from there. Mostly. The tasks were all very good actually. THREE memory tasks?! Wow. That’s shocking. And kinda awesome. Every finale should have at least one memory task. Some have had ZERO. So that already puts this finale above others. But really, it was a solid task that took care of the “thrilling” task for the finale. Very lucky of the teams to have had all three guys with only five Road Blocks going into the finale. It wasn’t a particularly difficult task and a woman would’ve certainly been fine with it. But it’s interesting to see it all play out this way. I don’t think we’ve ever had a capitals Final Task before. So this was a creative way to do it. The lobsters were a good task and apparently very physical. Flags are not a new challenge, but I think they could’ve made it harder by not telling teams there were NINE countries. Especially since all teams thought Macau was its own country and not part of China. That would’ve thrown teams for a loop. The Adirondack chairs were fine and fitting for the location. As were the pictures of random things from the Race. 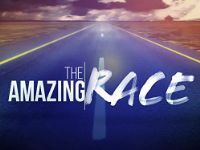 While it was a mostly exciting episode, thanks again to the teams, the Leg itself was again too linear and the run to the Finish Line was strangely underwhelming. Very abrupt with no excitement. It was pretty obvious Kelsey & Joey were going to stay in the lead. Overall an okay finale with solid tasks but lacking a little bit more excitement. Chris & Logan didn’t win, but they were the stars of this Leg. Both Justin & Diana and Kelsey & Joey had disparaging comments about them all Leg. And Phil had the most to ask them at the Finish Line which included a great kiss between them too. They had a great opportunity I think, but they really messed up with the flags. About the taxi, Logan is right. If Kelsey & Joey didn’t have anything in the taxi and the driver was willing to take them, then it would’ve been fine. Though still a little sketchy of course. Not as bad as the TAR Canada 3 taxigate debacle though. Chris & Logan were my picks to win, but Kelsey & Joey are definitely the distant 2nd choice. 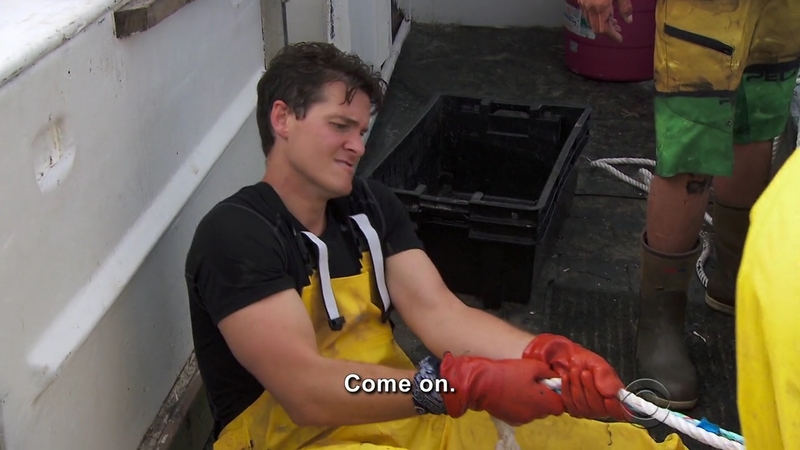 Joey cursing out Chris & Logan is what I wanted to see from him and Kelsey all season. More of that and they would’ve been much more interesting and fun to watch. ← Recap: Shuriken Sentai Ninninger, Episode 40 – Look Out for Santa Claus!